An EU summit is due to begin in Brussels with fresh allegations of US spying threatening to overshadow talks. It comes a day after German Chancellor Angela Merkel called President Barack Obama over claims that the US had monitored her mobile phone. France’s President Francois Hollande is pressing for the issue to be put on the agenda following reports that millions of French calls had been monitored. BBC Europe Editor Gavin Hewitt says some leaders are likely to want to use the summit to demand further clarification from Washington over the activities of its National Security Agency (NSA) in Europe. The US is being called to account by its allies over allegations of spying based on material said to originate from fugitive American leaker Edward Snowden. While normal people in the USA can really do little about the intense spying and data collection that the USA government does , the European nations can get the USA to change and to disclose more. The Europeans are more and more realizing that the USA does not consider the EU to be a friend, and hence the EU will more and more conclude that the USA is an enemy. The Obama Administration will again likely conclude that placating the Europeans is its best interim move. I have long warned that I believed that the USA would share too much of its military information with the Europeans and now more and more it appears that it will increase doing that. If this scandal also results in the USA truly diminishing its espionage against Germany and the Europeans, this too will greatly impact the security of the USA. Yet, because of focus on China, terrorists, and sometimes Russia, few Americans consider that any real threat will come from Germany and Europe. But according to biblical prophecy the final Beast power (Revelation 13; Daniel 11) will arise in Europe who will know “hidden things” (Daniel 8:23, YLT), and this will result in the takeover of the USA and its Anglo-descended allies (cf. Daniel 11:39). 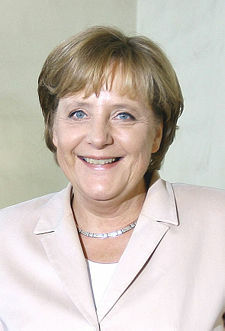 The Germans are upset and will use this crisis as part of their basis for taking steps that the USA will regret. It will likely take computers aided with artificial intelligence to aid in the fulfillment of the above scriptures, as well as cyber-spying/monitoring. Thus, even though I do not believe that there can possibly this type of computer takeover of the world coming this year, I do believe that cyber monitoring will be used by the European Beast, King of the North, 666 power. The US government has been taking steps to help set the stage for this. And Europe is planning on dealing with this. This entry was posted on Thursday, October 24th, 2013 at 7:12 am	and is filed under Prophecy.